November 2007 Archives - mudd up! We’re gonna Peel it now and for the next several weeks: tons of music, little organization, lots of love. this cassette rip is a double rescue – I dubbed it to digital before lending the tape to C, who briefly enjoyed the gnawa tape before getting robbed in El Parque de la Ciutadella by a quiet purse-snatcher. the leader is Mahmoud Gania, one of the more famous members of a famous family of musicians in Essaouira, Morocco. The except is 18 minutes long. A big part of gnawa is how it sidesteps time… i still don’t know. 18, 30 minutes. 4 hours. Sundown to sunup. What do you call something that could almost always go on for longer? Songs have beginnings and ends. These are not songs. Gnawa music has flourished in the Western imagination completely out-of-scale with its popularity in Morocco, partly because of the basslines which can be appreciated in a dubby/reggae context by Western ears, and partly because of its backstory — the music of African slaves in the Maghreb, colonial music in the truest sense, Afro-Arab, ritual sounds used to cure snakebites & heal & cast out ill spirits in all-night ceremonies, etc. 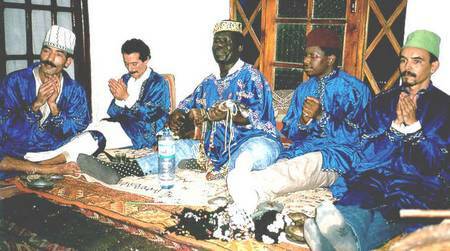 30 or 40 years ago gnawa was very much looked-down upon in Moroccan society. Nass el Ghiwane’s massive success did a lot to popularize the instrument and dislodge its poor/black/marginal stigma, in a Moroccan context… My bandmate Khalid tells of the difficulty in finding a guembri when he was young, then getting scolded by his mother for having any interest in the music at all. usually when i post music is it relatively obscure, hard-to-find stuff. Not today. This i picked up at a Spanish supermarket chain. She’s the best! 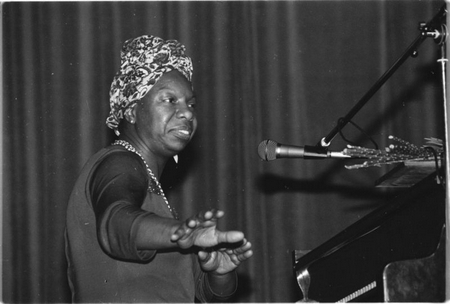 If I could have, say, lunch, and then work on a tune with anybody ever in the whole world, it would prob be Nina Simone. But I can’t, so that’s that. ok, back to relatively hard-to-find. I picked this up at Rachid’s Nassiphone shop in BCN last week. Rollicking chaabi marocaine, check the beats! 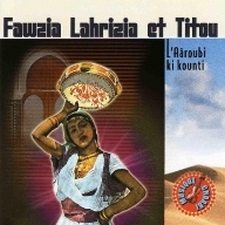 The album — whose title (transliterated Arabic put into French grammatical structures) means Arabic Beats — is buyable at eMusic. Today, Friday nov 16, i’ll be DJing at the Sonic Focus event in Providence, Rhode Island. 9:15-10:15pm. We can all be in bed by midnite. And below, an unwatchable video from a recent gig I did w/ Andy in Geneva, filmed by a kindly Russian fan. He’s responsible for those craaazy effects. wanna win a pair of tickets to tomorrow’s Dub War in NYC? Name this riddim. First person to e-mail the correct name/info to nettlephonic at yahoo dot com gets free tickets. If you think nerds don’t deserve free tickets, send me a pretty song instead and we’ll see. It’s a record release party for my man Raz Mesinai. As mentioned earlier, his new album contains remixes by Filastine, Kode 9, Marina Rosenfeld, and yours truly. Poet Caroline Bergvall stops by the radio show today! (my first guest without a MySpace page?!) 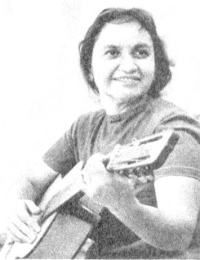 In addition to reading some of her works and presenting some sounds, we’ll chat about plurilinguality. About face. About figs. About pets. tune-in or catch her live (different words, same time) at MoMA’s Hell. In other news, I did a remix for Raz Mesinai’s Unit of Resistance album, out now on ROIR. This Friday there’s a record release party at NYC’s DubWar. today, in Rome, my band Nettle is playing at the EuropaRoma festival in Rome, at Brancaleone. Today, 7-8pm on my WFMU show, on-air performance by artist Kalup Linzy! & next Wed., poet Caroline Bergvall will stop by the show with poems and sounds! She’ll be in NYC to read at MoMA’s Hell. as always, ruptureradio.com for more info about the program, WFMU.org for info on the FM station including how to listen online, and my streaming archives from the past few weeks. Kalup was first muddied up here.